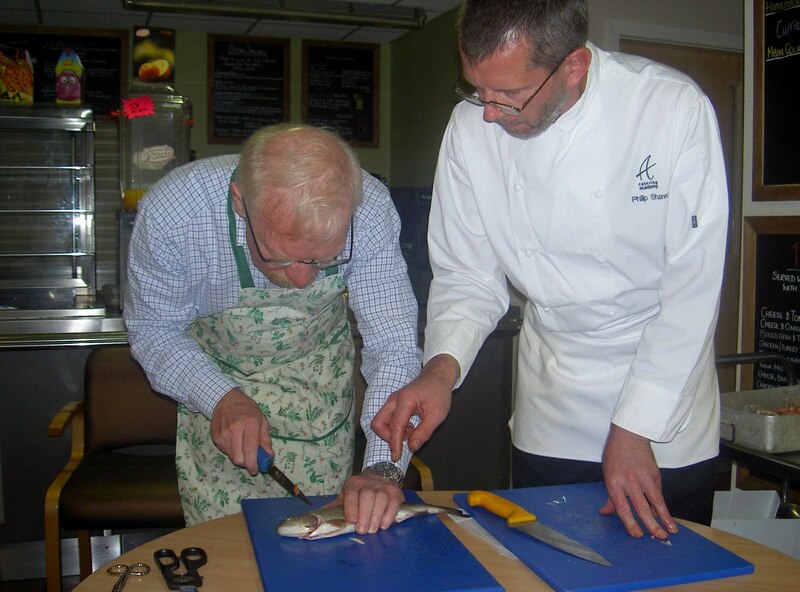 On Friday 23rd September Food4Macc Direct organised a trout meal and cooking demonstration at “Belong” care home on Kennedy Avenue, Macclesfield in conjunction with Phil Shaw from Fork-2-Plate. Phil is a fully trained and experienced chef and showed us how to cook fresh Wincle trout in 3 different ways. 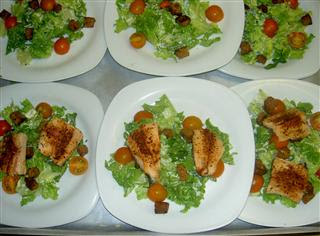 Everyone got to try their hand at preparation- and eating. All the ingredients, where possible, were sourced locally, of course!